Sun, Flamenco, Tortilla, Sangria and Gaudi…stool. This is going to be the winning Spanish combination after taking a look at one of the most amazing furniture we have seen lately. We already knew that “Spain is different” and we are more than happy to see that one of its famous icons, celebrated architect and designer Antoní Gaudi, is still an important source of inspiration for new European designers. 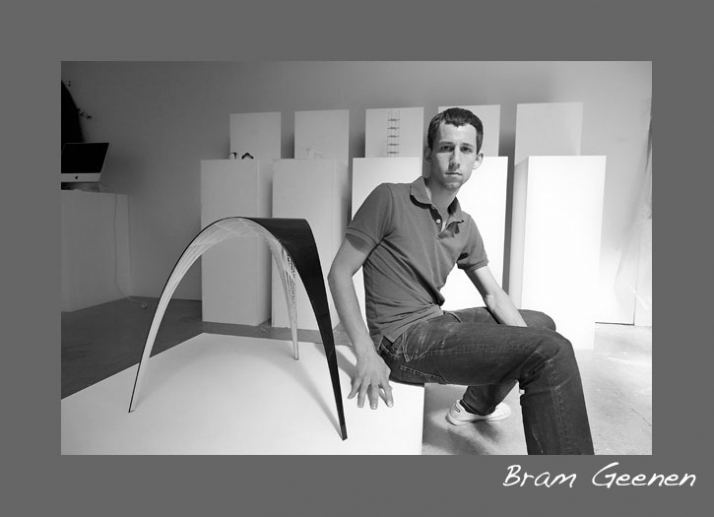 The shape of the Gaudi Stool, designed by Dutch designer Bram Geenen, was created in the same way that Antoní Gaudi designed the structure of his churches, by making a model of hanging chains, so letting gravity determine the strongest and most logical shape for withstanding forces. The ones that have visited his masterpiece, la Sagrada Familia, surely remember it. 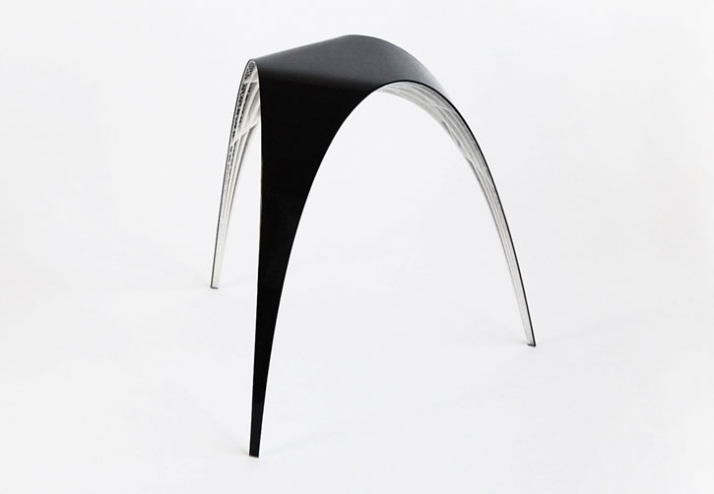 The Gaudi-stool was part of the furnistructure project. 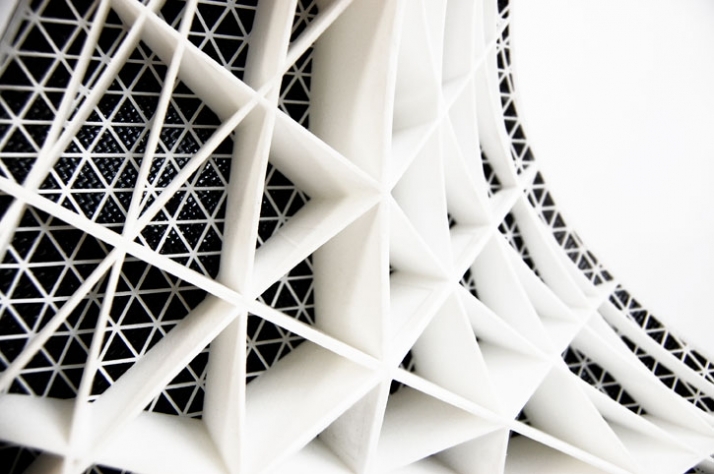 In the Furnistructure project was researched how lightweight products can be designed, since lightness has a lot of advantages in the use of products and their impact on the environment. 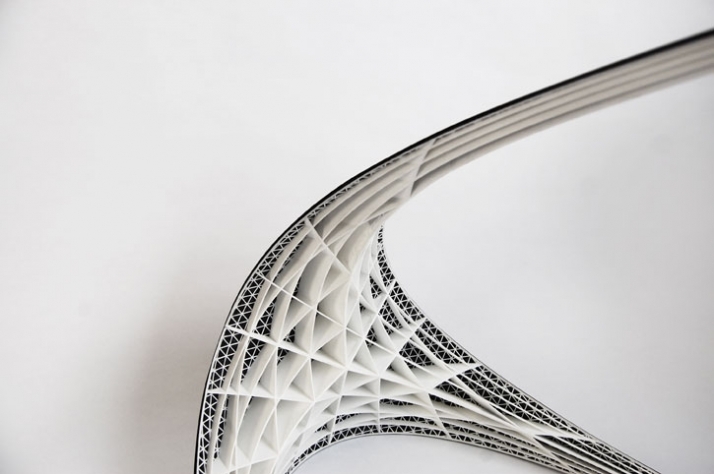 This lead to a research into structural systems, as found in nature and architecture, and the possibilities of designing lightweight furniture using such systems. 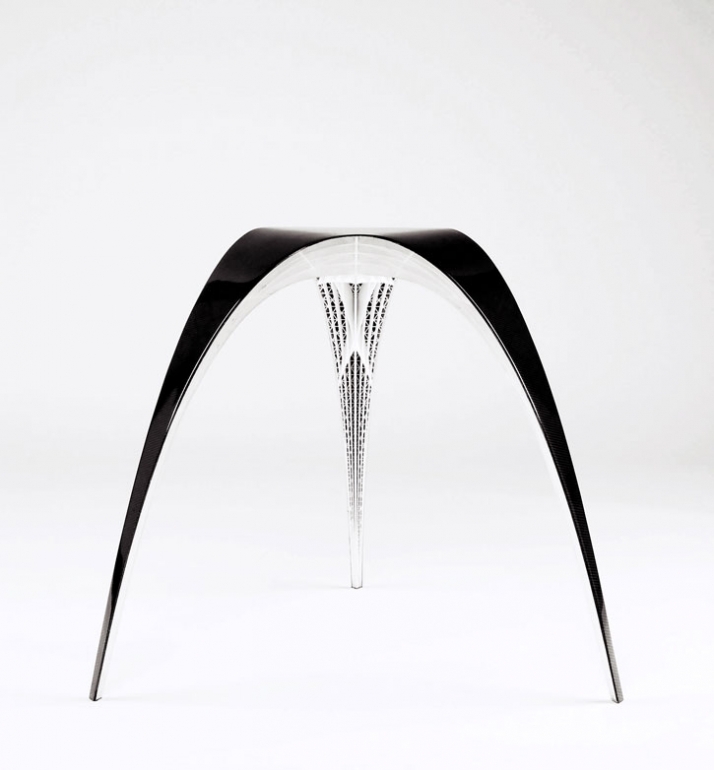 The project includes a series of designs for furniture and Gaudi stool is a part of it. 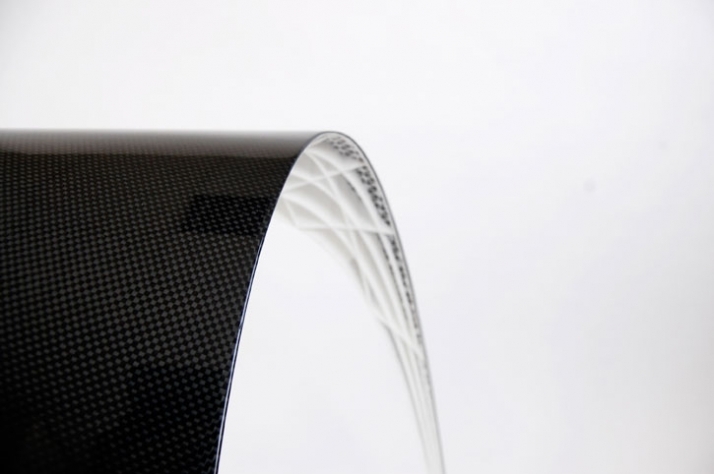 Let’s take a closer look at its structure: a thin shell made of carbon fiber deals with the compressive forces. A beam-grid substructure resists bending of the shell. 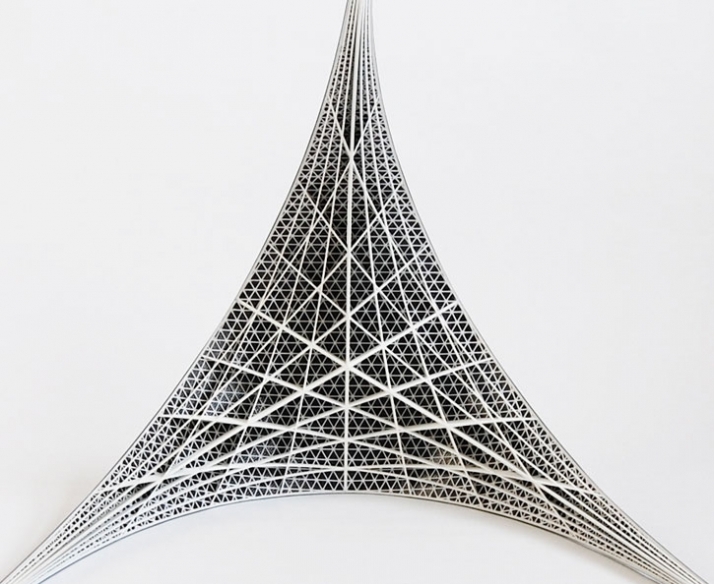 The substructure was made using Rapid-prototyping techniques, in order to achieve the needed complexity. 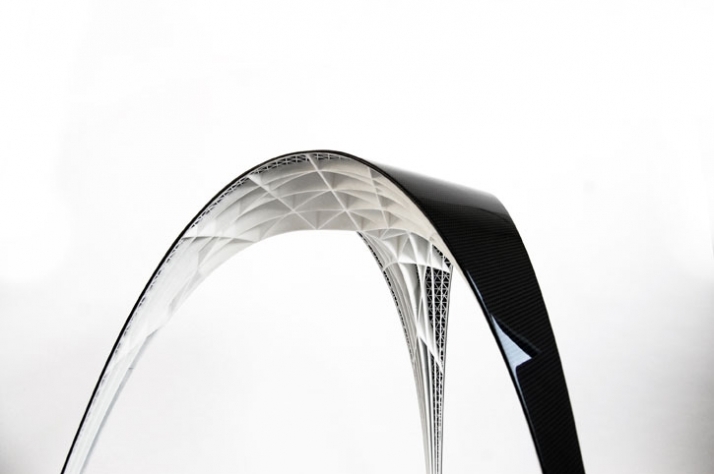 The rapid-prototyped structure was then used as a mold for the carbon-fiber laminates. The combination of these two high-tech techniques decreased costs of both of them, and made them applicable in a functional product that weights only a kilo. Spain addicts like me found at last the perfect stool for their homes!